It’s clear that the United States is one of the biggest marketplaces in the world, and China is a manufacturing powerhouse. So, you might wonder exactly how a product that is sourced and built in China finds its way across the supply chain to the U.S. for sale to an American consumer. In this post, we break down the various stages that a product (a sofa) needs to go through across the supply chain—from when it’s purchased on a website through sourcing, manufacture, export, shipping, receipt and delivery to the customer. And we’ve highlighted the major supply chain parties and how they’re involved. A customer finds a sofa they like on a website, places and pays for an order. She sees that the sofa is out of stock, but she is willing to wait for the sofa to be manufactured and delivered. The sofa has just gone out of stock, but the sofa has been featured in a design show, which is driving up demand. Based on predictive analytics, the ecommerce retailer places an order for 500 sofas, which it expects to sell over the next three months. The requests are placed into the internal order system by supply chain management (SCM). SCM manages the order and their software notifies suppliers, manufacturers, distributors and logistics in the global supply chain. This product is sourced and manufactured in China, through arrangements that the retailer has with Chinese suppliers and furniture builders. The Chinese businesses get a demand notification for 500 sofas and begin the sourcing and manufacturing process. Those upstream suppliers may in turn request further raw materials. For example, the fabric manufacturer will need to source cotton and dyes to manufacture the fabric. The suppliers obtain raw materials from various sources and complete any preprocessing. They then contract with local logistics providers to transport the raw materials to the Chinese factory. The raw materials are transported by road, railway and air freight. Once they have built the sofas, they load and secure them into shipping containers and dispatch the goods for intercontinental shipping. An intermodal logistics provider uses standardized trucks and trains to load and transport the sofas through China via road and rail. The goods are taken to a port in Shanghai and stored before loading onto a container ship bound for the U.S.
Before the containers can be loaded and transported, customs and other paperwork is completed and filed. A freight forwarder or customs broker prepares necessary paperwork, including declaration of goods, necessary customs duties that need to be paid, bills of lading, etc. After completion, the goods are loaded onto the container ship, into space leased from an international carrier. The container ship traverses the Pacific and arrives at a port in Long Beach, CA, where the containers are unloaded. The goods clear through customs, and any additional paperwork is completed and filed. The containers are picked up by another intermodal logistics provider in the U.S. that transports them to warehouses. The retailer contracts storage space from a large, multi-state third-party logistics provider (3PL). The 3PL takes delivery of the sofas and distributes them across its network, so the goods are available to major metropolitan areas. The sofa is on backorder through the retailer, so once the goods arrive at the warehouse, a sofa is reserved for delivery. A specialist truck designed for transporting furniture picks up the sofa and delivers it to the customer’s house. This is a simplified version of the journey of a sofa from China to the U.S. for delivery to the customer. 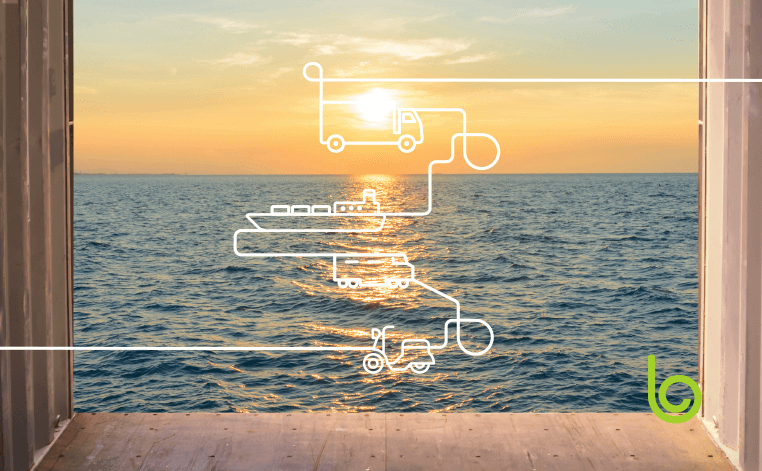 In reality, getting products from point A to point B across international borders is complex and has many interdependencies across the supply chain network. Blume solutions automate the management of these complexities and create more efficiencies for companies across their supply chain networks. Blume Logistics receives constant data updates from suppliers, manufacturers and logistics providers so supply chain managers can understand how goods are moving through the supply chain, and properly execute their moves. 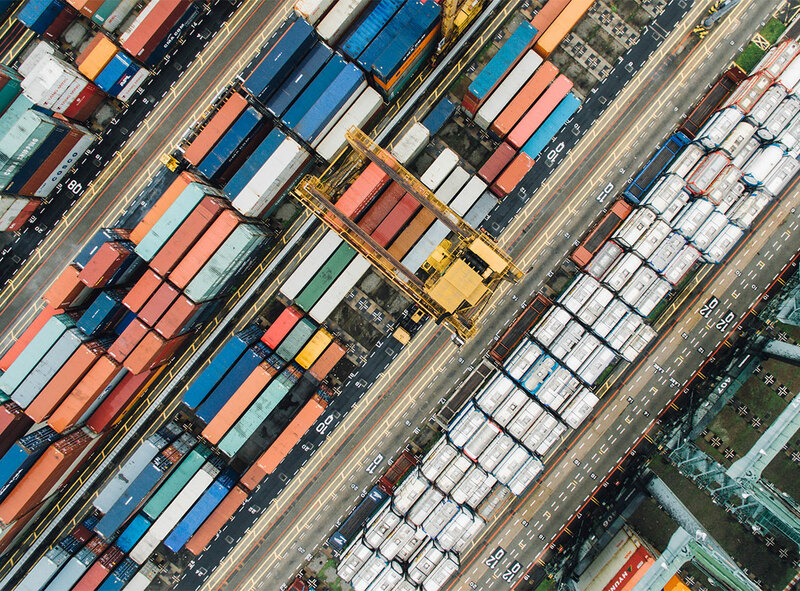 Blume Visibility enables air, ocean, rail and motor carrier connectivity (API, EDI, IoT, TMS) for comprehensive tracking of assets, shipments and inventory at rest and in-motion. Blume Optimization improves supply chain decision-making for increased speed and efficiency through AI, machine learning and data analytics.